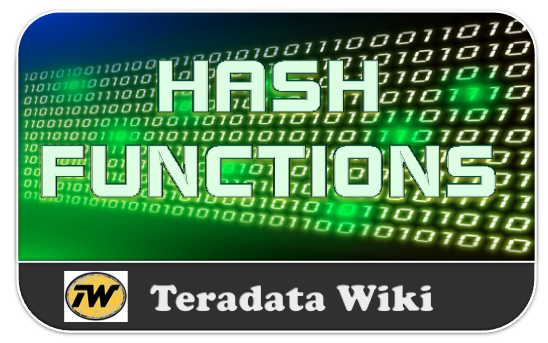 There are four types of hashing functions are available in Teradata. The Query will give same results if you ran again and again. The HASHROW function produces the 32-bit binary Row Hash that is stored as part of the data row. It returns maximum of 4,294,967,295 unique values. The values range from 0 to FFFFFFFF. The values range from 0 to 1,048,575,not counting the NULL as a potential result. The HASHAMP function returns the identification number of the primary AMP for any Hash Bucket number.